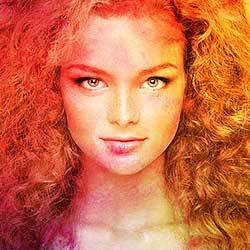 In this tutorial, you'll learn time-saving tips and tricks for working with layer blend modes in Photoshop! I'll show you how to easily scroll through the blend modes to see how each one affects your image, how to instantly jump to the exact blend mode you need, and even how to adjust the intensity of a blend mode, all directly from your keyboard! We'll cover every blend mode shortcut you need to know to speed up your workflow, and I'll even include a tip to make memorizing those shortcuts a whole lot easier. I'll be using Photoshop CC but any recent version will work. Let's get started! Turning on the top layer. The Blend Mode option, set to Normal by default. 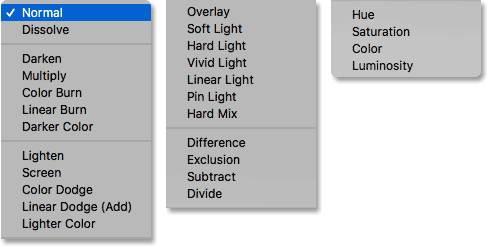 Photoshop's 27 layer blend modes. 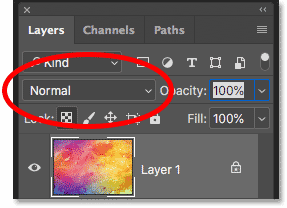 Before we go any further, it's important to know the difference between a layer blend mode and a tool blend mode, and I'll tell you why in a moment. 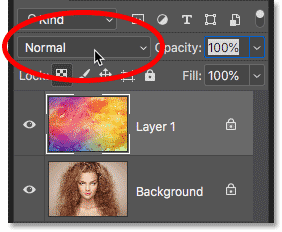 Layer blend modes are all found in the Layers panel, and they control how a layer blends with the layers below it. 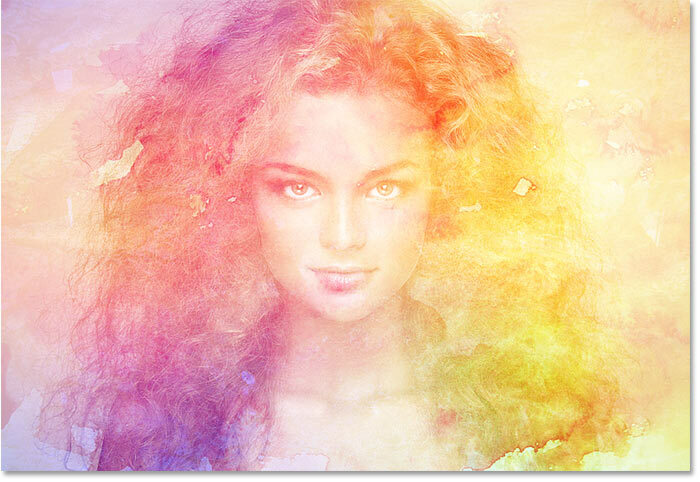 But some of Photoshop's tools also include their own blend modes. 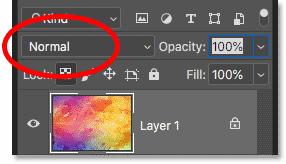 Most of the brush tools and the painting tools have their own separate blend modes that affect the tool itself and are completely separate from the layer blend modes in the Layers panel. 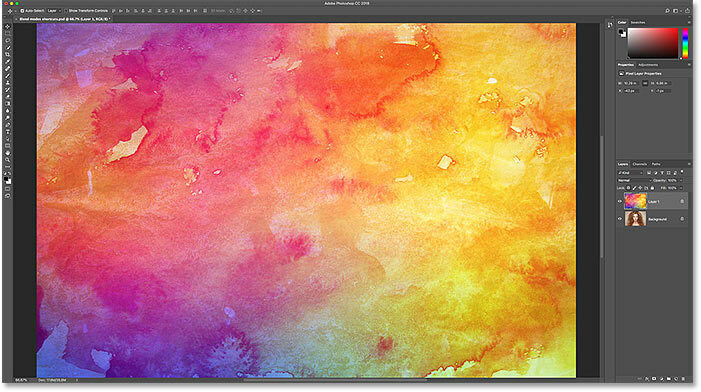 The Brush Tool blend modes affect the Brush Tool, not your image. The brush and painting tools are grouped together in the Toolbar. The Move Tool is one of the tools without its own blend modes. 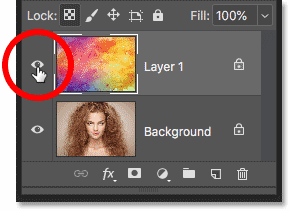 Let's look at how to quickly scroll through the layer blend modes to see the effect that each one has on our image. Opening the Blend Mode menu. Choosing a random blend mode. The first blend mode result. Choosing a second blend mode. The second blend mode result. Choosing a third blend mode. The third blend mode result. Setting the blend mode back to Normal. Then, to scroll forward through the blend modes, press and hold the Shift key on your keyboard and tap the plus sign (+) repeatedly. Once you've moved through all 27 blend modes, you'll return to the Normal blend mode. To scroll backwards through the list, keep your Shift key held down and tap the minus key (-) instead. Scrolling through the blend modes is great when you're not sure which blend mode you need and just want to experiment. But if you do know which one you need, you can jump straight to it from your keyboard. 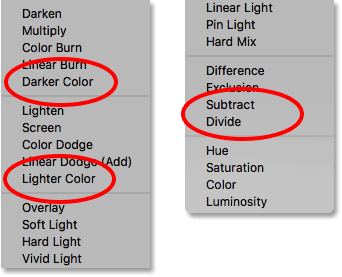 Photoshop includes keyboard shortcuts for nearly all of its blend modes. To select a blend mode from your keyboard, press and hold your Shift key, along with your Alt (Win) / Option (Mac) key, and then press the letter that's associated with the blend mode. For example, the first blend mode I chose earlier was Multiply. To select the Multiply blend mode from your keyboard, hold Shift+Alt (Win) / Shift+Option (Mac) and press the letter M. The second one I chose was Screen, which you can jump to by holding Shift+Alt (Win) / Shift+Option (Mac) and pressing S. To jump to the Overlay blend mode, hold Shift+Alt (Win) / Shift+Option (Mac) and tap O. The four blend modes without keyboard shortcuts. Here's a tip to make memorizing the shortcuts easier. Even though there's 23 shortcuts in total, you really only need to memorize a few of them; one from each of the blend mode groups. Multiply is the main darkening blend mode. Screen is the main lightening blend mode. Overlay is the main blend mode for boosting contrast. 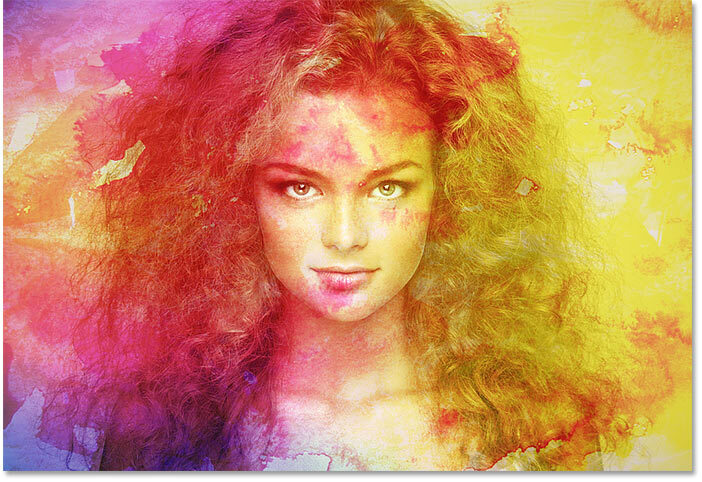 Color is the main blend mode for colorizing images. To learn more about Photoshop's five main blend modes (Multiply, Screen, Overlay, Color, and Luminosity), see my Top 5 Blend Modes You Need To Know tutorial. Press Shift + Alt / Option + J to jump to Linear Light. The Linear Light blend mode effect at full strength. 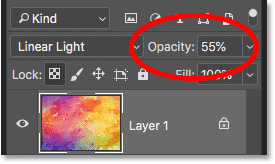 To reduce the intensity of a blend mode, all we need to do is lower the opacity of the layer itself. 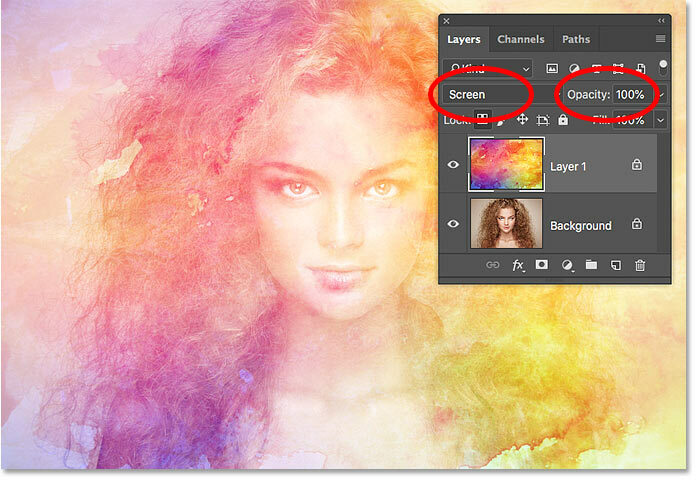 You can do that from the Opacity option in the Layers panel, but you can also adjust it directly from your keyboard. Adjusting the layer opacity from the keyboard. The same Linear Light blend mode but with a lower opacity. Press 0 to reset the strength of the blending effect back to 100%. And there we have it! 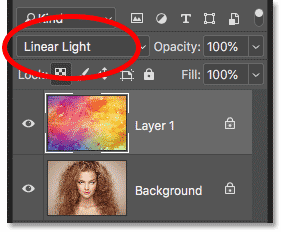 That's some time-saving tips you can use with layer blend modes in Photoshop! 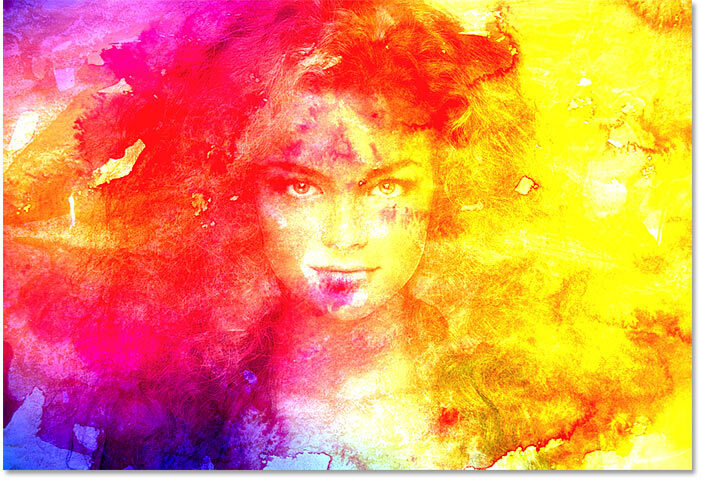 For more about blend modes, learn how to blend images like a movie poster, how to blend text into backgrounds, or even how to merge blend modes in Photoshop! Or visit our Photoshop Basics section for more tutorials!